Free download Sniper Killer on Highway for Android with APK file. 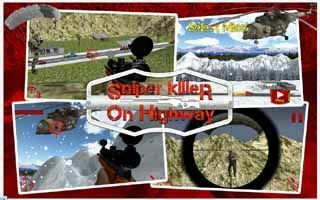 Download Sniper Killer on Highway new version from the direct link. 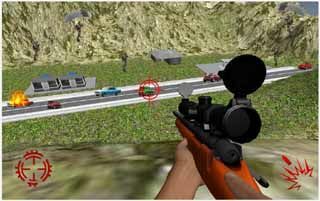 Sniper killer on Highway is a full action game. In this game, when the squad of prime minister is passing through the highway, the sniper is trying to target the prime minister. In this scenario, you are well-trained sniper. One day you get a chance to target the prime minister while he is on the highway. But you miss the prime minister vehicle and blow up all other squad vehicles. When sniper destroys three vehicles, the prime minister squad gets help from army to save the prime minister. Army commandos came on helicopters and landed with parachutes and fought with sniper. In this game there are two missions with realistic 3D game-play and beautiful sound effects.